EXPLORE CLASSES ON ENTREPRENEURSHIP AND INNOVATION, AND GET INVOLVED IN LEADERSHIP AND LEARNING OPPORTUNITIES OUTSIDE OF THE CLASSROOM. 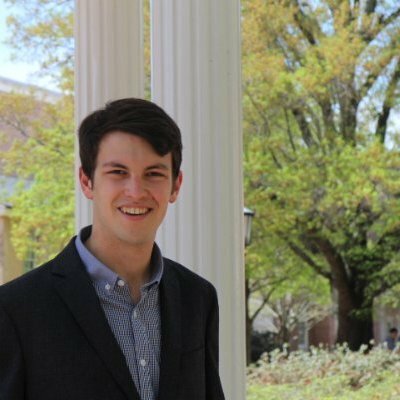 If you’re an undergraduate Carolina student, the Shuford Program in Entrepreneurship provided by the College of Arts and Sciences is an excellent way to learn the skills of entrepreneurship and earn a minor, while allowing you to major in another discipline. The minor is designed to help you think entrepreneurially, give you the skills to start your own venture and help make UNC-Chapel Hill an engine of innovation. As a student in the program, you can choose from nine tracks: social, commercial, artistic, scientific, computer science, media, design, public health and sport. 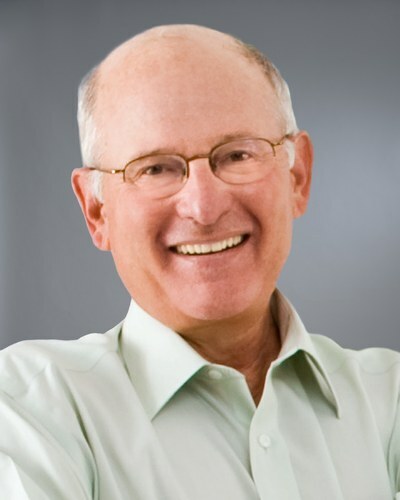 You’ll learn from practicing entrepreneurs, venture capitalists, venture lawyers and others with the most current and relevant entrepreneurial knowledge who co-teach the courses with a noted academic. You’ll also participate in a required internship with an entrepreneurial venture, which will provide you with valuable hands-on experience outside the classroom. 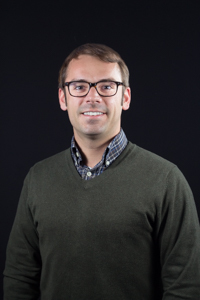 ECON 125 was created in response to student demand and interest in entrepreneurship. Open to all undergraduate students, this follows a large, multidisciplinary format and will introduce you to entrepreneurship. You’ll explore theoretical frameworks and practical examples of what it means to think like an entrepreneur. You’ll also discover how such thinking can affect a variety of pressing societal challenges. ECON 325 builds on several of the fundamental concepts you studied and practiced in ECON 125. 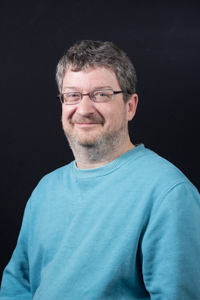 The course will be team-taught by the instructors and lecturers in a series of four core modules, each with approximately five class sections. You will also gain valuable insights from outside speakers and some additional “topical” classes at the end of the term. The course will go deeper in several areas that we believe are fundamental to developing what we call the “entrepreneurial mindset.” While ECON 125 exposed you to these tools and concepts at a high level, ECON 325 will help you learn how to use and apply them. If you are an undergraduate or graduate business student, you can choose from numerous entrepreneurship-related business courses. 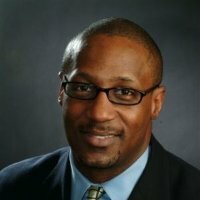 Whether you want to start your own company, work for a startup, find an entrepreneurial opportunity within a larger company, or go into related areas like venture capital or social entrepreneurship, the emphasis in entrepreneurial studies is designed to give you the necessary skills to identify and pursue entrepreneurial opportunities. The UNC Kenan-Flagler Business School is committed to developing transformative entrepreneurial leaders as founders, funders and growth executives. 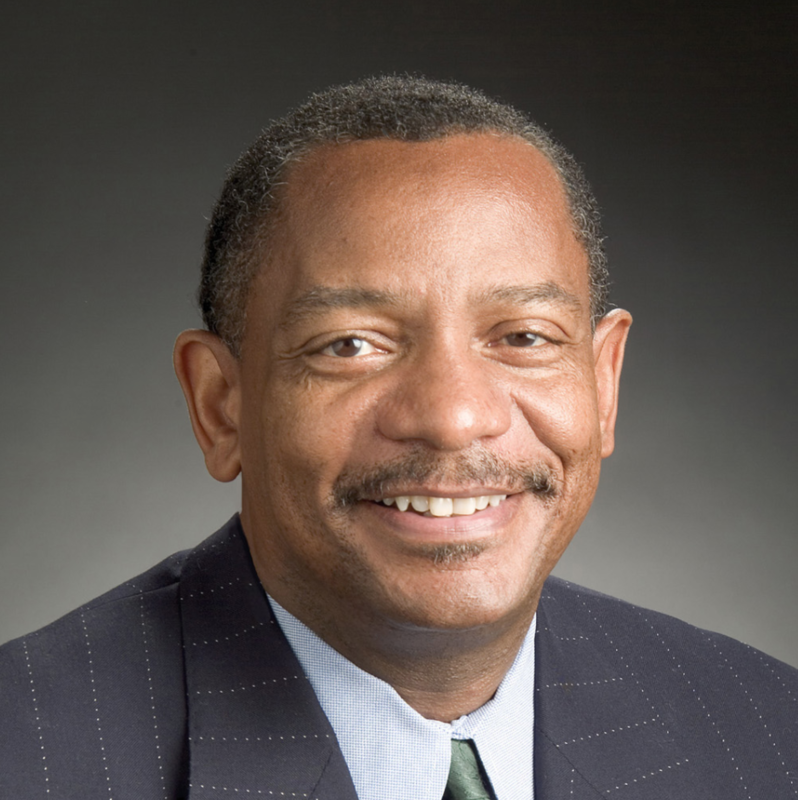 To support that commitment, the Center for Entrepreneurial Studies, which as founded in 1997 through the generosity of Frank Hawkins Kenan, offers a comprehensive array of curricular and co-curricular programs. These programs are driven by the rubric Learn-Launch-Lead (L3)™ and help you develop skills and gain direct experience not found at other business schools. Through a broad-spectrum entrepreneurship curriculum, CES offers you a collaborative, hands-on and results-driven learning environment designed to build an entrepreneurial mindset. 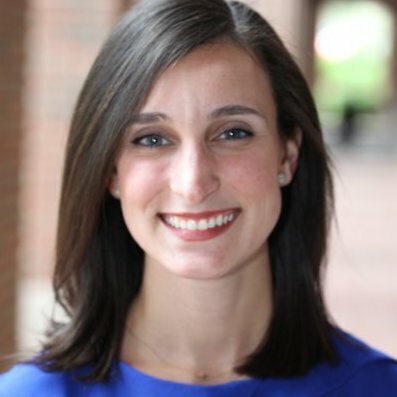 As a business student, you will continue to benefit from the center’s global network of alumni mentors and coaches after you graduate and transition careers. Workroom FashionMash is both a workspace for prototyping and building, as well as a way of thinking. Since 2009, the program has given advertising students in UNC-Chapel Hill’s Media and Journalism School the chance to work directly with fashion and lifestyle brands to envision new ideas. As a student, you’ll work with clients to move beyond the page or screen and bring concepts to life. The primary goals of this course are to give the student a broad understanding of the field of entrepreneurship and to introduce the important tools and skills necessary to create and grow a successful new venture. The course is designed to simulate the real-life activities of entrepreneurs in the startup stage of a new venture. Students develop an understanding of the elements required to start a new business and hear from successful entrepreneurs about their journey and then evaluate real business plans for entrepreneurs who are just starting their journey. In this course students use financial tools and concepts in a real-world entrepreneurial setting. Working in assigned teams, students prepare a pitch book with financial projections for a company they wish to start or buy. 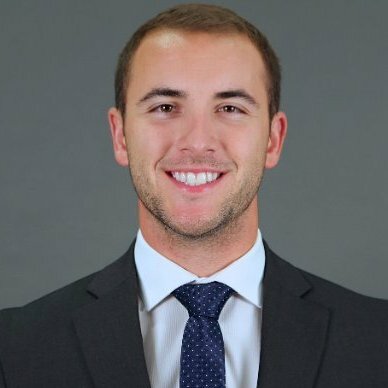 Student teams engage in consulting projects to help a wide range of small business owners, early stage start-ups, and not-for-profit ventures tackle typical entrepreneurial challenges. 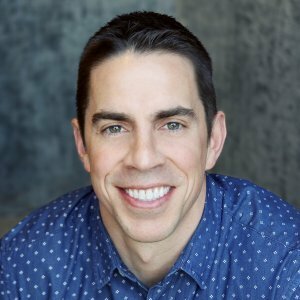 Data is gathered through extensive fieldwork, such as client meetings, customer surveys, interviews with thought leaders, site visits, and product tests. Due to the heavy workload, students should not enroll in BUSI 505 and BUSI 554 concurrently. An introduction to the tools and skills necessary to recognize opportunities in high tech, biotech, and traditional start-ups. Local entrepreneurs come to class to pitch to students, who analyze the start-ups from the perspective of venture capitalists. Examines what it means to pursue business success as measured by the triple-bottom line of people, planet, and profit. Focuses on strategies that companies implement to reduce environmental impact internally and through the supply chain. Examines the responsibility of business to employees, consumers, the local community, and society at large. Selected topics in business administration presented in seminar format with students engaged in individual and team study under the supervision of a member of the faculty. Are you a working professional who wants to learn how to start your own business or expand a startup? 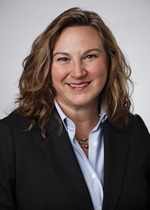 Or perhaps your organization already participates in the UNC Executive Development program and wants to send its executives through individual business courses to help them develop skills in a shorter period of time than they can in a degree program? The Certificate in Entrepreneurship program at the UNC Kenan-Flagler Business School is an excellent option. As one of four graduate certificates offered by MBA@UNC, the nation’s No. 1 online MBA, this program will teach you how to apply core entrepreneurial principles to your own business plans, including new venture discovery, digital marketing, corporate strategy and sales. 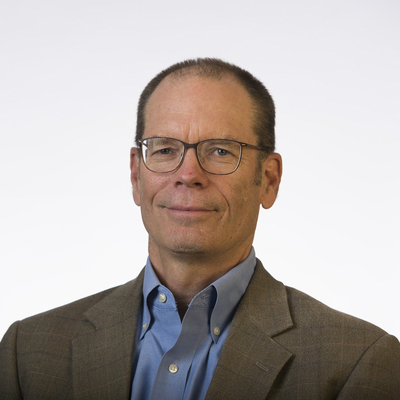 The Faculty Entrepreneurship Workshop encourages an entrepreneurial mindset in UNC faculty and equips them with proven skills used by successful entrepreneurs. 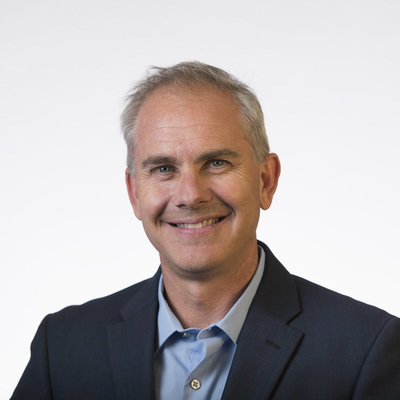 Hosted by Innovate Carolina and designed and led by Professor Keith Sawyer in the School of Education, the workshop is based on research on creativity and entrepreneurship and conducted in UNC’s School of Education and in the Kenan-Flagler Business School. To participate in the prestigious workshop as a faculty member, you must be nominated by your dean and invited to participate by Chancellor Carol Folt. The workshop tasks you with bringing a challenging problem or innovative solution to share. During the two-and-a-half-day session, you’ll work as part of a team with other faculty and collaborate with a cross-disciplinary group of coaches from across the UNC campus. You’ll explore ways to advance your ideas, apply entrepreneurship tools to real-world scenarios and enhance your business pitch. At the conclusion of the workshop, your faculty team will pitch its idea to a panel of judges to get real-time feedback, giving you the insight needed to raise your solution to the next level. StartUp-UNC is a series of courses that helps faculty, staff and students from across the UNC-Chapel Hill campus turn new ideas into viable ventures. The StartUp program is designed to engage you in an intense academic exercise that teaches you a process for evaluating and launching new ventures that you can then replicate. It will prepare you with a lifelong entrepreneurial mindset that you can apply beyond the classroom experience. 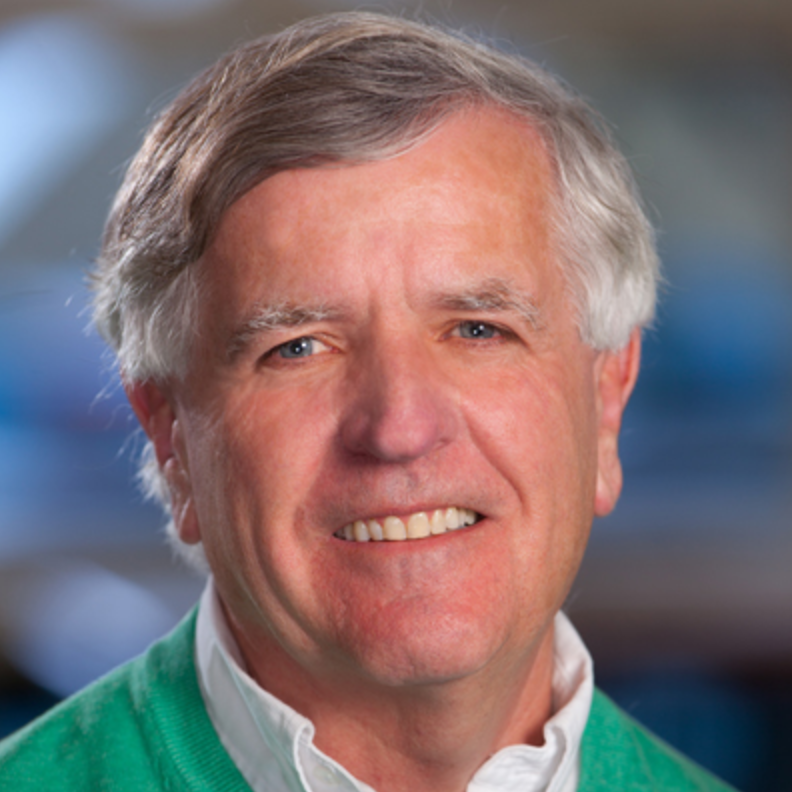 This two-day workshop brings biomedical researchers and clinicians from UNC-Chapel Hill and Duke University together for an overview of life science startups. During the first day, you’ll learn about the life science startup ecosystem and its various players, while hearing from a number of faculty entrepreneurs who share their stories. One the second day, you’ll focus on the mechanics and decision-making involved in startups. The latter part of the second day also gives you the chance to work one-on-one with local entrepreneurs to create a 12-month action plan. Design thinking is a popular buzz term in this age of Kickstarter, instant turnaround, and short time-to-market. But what is design thinking really all about? In many ways, it is a process that most of us were quite familiar with in our preschool years. Observe an opportunity. Take an action. Assess the results. Laugh at the failures. Repeat. Design is not just for artists and engineers – we are all designers! But how do we get back to that pure form of design thought? In this class, students explore design through active making, discussion, presentation and self-evalutation. Starting with the most basic of materials, students exercise their latent creativity muscles and exercise the constrained thinking and other obstacles ingrained in them by “traditional” education. In this class, “failure” is an important concept that will be embraced and even celebrated. Science, entrepreneurship, and life itself is a process of try and try again. We must accept and learn from failure in order for “try” to become “do” and for “do” to lead to success. Students from any major are welcome and encouraged to take this class. there are no course pre-requisites, but orientation training at one of the BeAM makerspaces is required. Clay, wood, cloth, glass, steel, and plastic. We interact with these materials every day, but rarely do we think about their properties and histories. This course explores the history and technology of materials and the ways they have impacted art, culture, and science. The course fully integrates historical scholarship and experiential making. Students engage both with the physical and chemical properties of materials through hands-on manipulation and fabrication at BeAM, studios, and laboratories across campus and study the historical and with theoretical debates surrounding material invention and use by artists, architects, scientists, and industries. How did the artisanal race to produce Asian porcelain in the eighteenth-century West impact the history of globalization? How did the wide adoption of plate glass in modern architecture alter social relations in the built environment? How will 3D printing technologies expand the potential uses of plastics in realms from fashion to weaponry? This course explores real-world skills for successfully developing and launching a software startup in an experiential learning environment. Students learn about customer outreach and feedback, market analysis, business model development and agile product development, while working with mentors from the entrepreneurship community. Course restricted to admitted majors only. Students will learn: use of design software (SolidWorks and support/analysis programs); basic techniques for directly measuring solid objects; electronic assembly techniques; and how to design simple electronic circuits. Note: BME Toolkit purchase is required for this course. Implementation phase of the senior design experience. 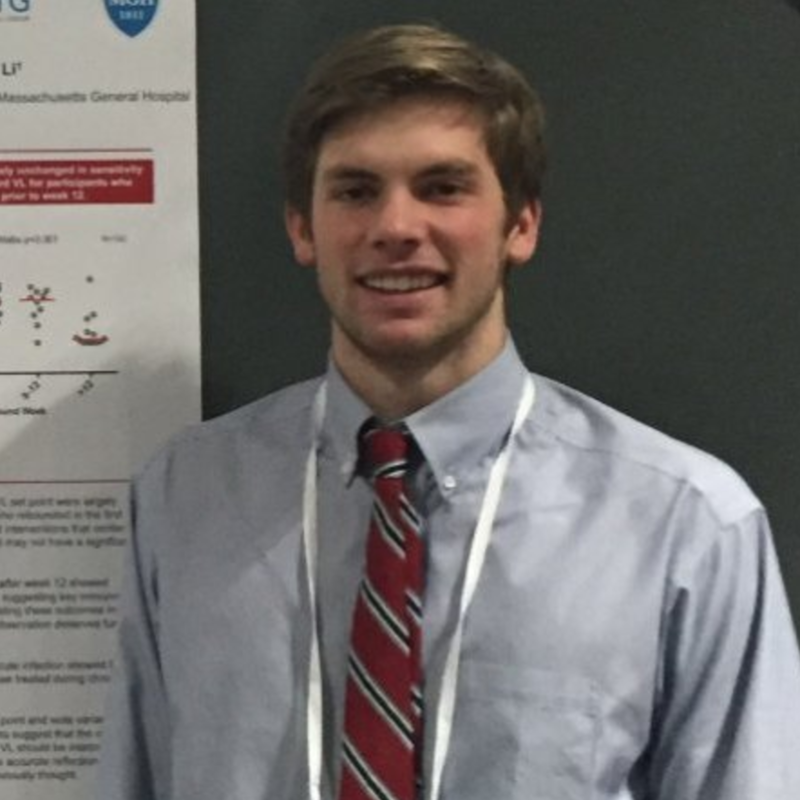 Students apply the theoretical and practical knowledge they have acquired in their previous seven semesters to the design and implementation of a solution to a real-world problem. Course restricted to admitted majors only. Conceptual prelude and preparation to BMME 698, in which the theoretical and practical knowledge acquired during the undergraduate tenure is applied to develop a solution to a real-world problem. This course examines students’ knowledge and understanding of social entrepreneurship as an innovative approach to addressing complex social needs. It affords students the opportunity to engage in a business planning exercise designed to assist them in establishing and launching a social purpose entrepreneurial venture. 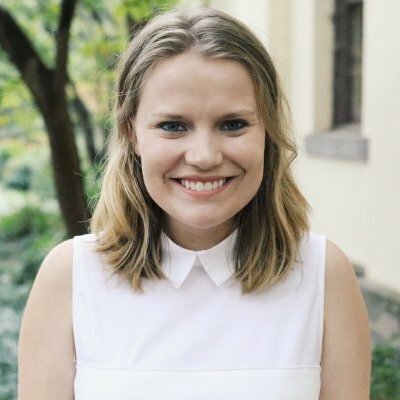 Students in the Shuford Entrepreneurship Program at UNC-Chapel Hill may apply to live and study at the Donghua University campus in the exciting, international city of Shanghai, in partnership with CET Academic Programs. 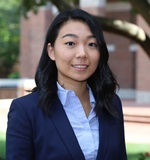 Staff at UNC-Chapel Hill and CET Shanghai will work with students to determine the most appropriate internship placement for individuals’ interests and goals. Placements are available in a wide range of disciplines, but all will encourage students to use their entrepreneurial backgrounds to make significant contributions to their host company or organization. The Minor in Entrepreneurship will offer some merit and need-based funding to students in the Minor. Students are strongly encouraged to apply for all available sources of funding, especially the Phillips Ambassadors scholarship for Asia programs. 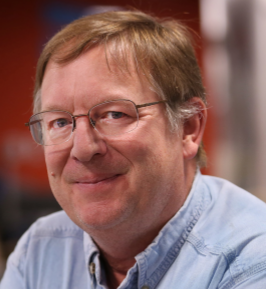 Students work under faculty guidance to develop and test an idea for a startup news product. Students will create a prototype, test it on a target market, and compile a business feasibility report for the product. The course emphasizes collaboration among students with a variety of skills and experiences. Do you have an entrepreneurial idea and you would like to make a prototype to turn your idea into reality? Or do you want to experience the design and making process? In this class, you will go through this process for a semester-long project. The final outcome will be a prototype that meets an entrepreneurial need. Students from any major are welcome to take this class. The pre-requisite is ECON 125, Introduction to Entrepreneurship. Orientation in the BeAM makerspace is also required. 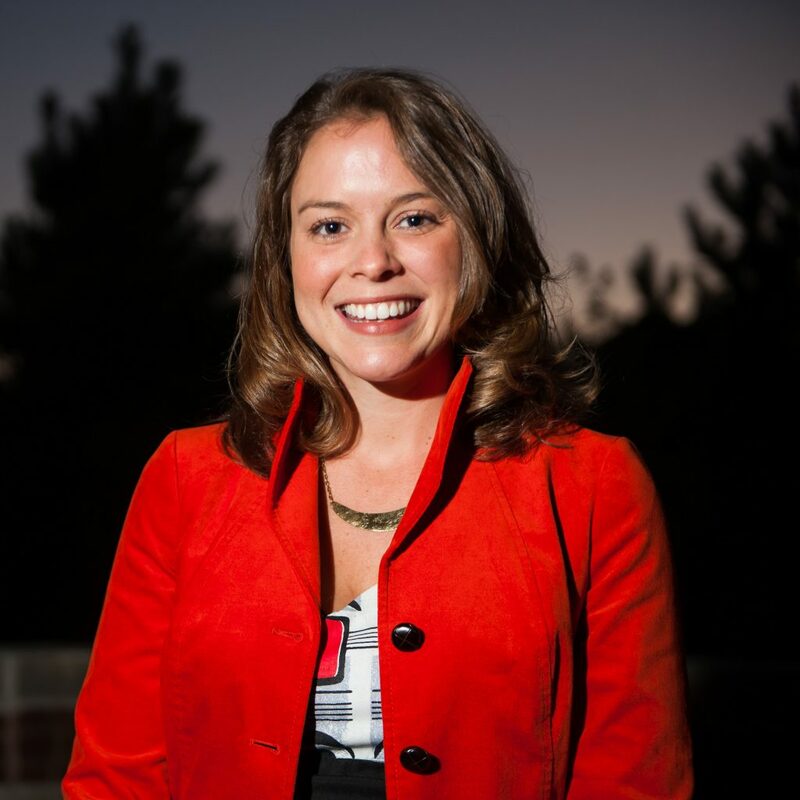 You do not need to have an entrepreneurial idea before taking this class. You will work in groups to identify entrepreneurial ideas, which could emerge from discussions with people in the UNC community, local community, or around the country. From these ideas, you will choose a topic for your semester project, and then start working with your group on different designs, getting feedback throughout the process. By the end of the semester, you will fabricate a prototype of your design. This is a great opportunity to apply and further develop your entrepreneurial, design, and making skills! Along the way, you will use the resources of the BeAM makerspace and receive appropriate background and training in using those facilities. Innovation should be much more than a process. It should be an experience – a memorable event that’s live, in-person and interactive. And that’s exactly what you’ll find when you attend the annual Innovation Showcase at UNC-Chapel Hill, which is hosted by Innovate Carolina under the Vice Chancellor’s Office for Innovation, Entrepreneurship and Economic Development. This is your chance to connect with other enterprising researchers and business enthusiasts – including UNC faculty and students – whose work is poised to make a significant economic impact in North Carolina and beyond. You’ll get to meet and learn from the most inventive minds from Carolina community as they share their latest innovations with the entrepreneurial and investment community. Hear their pitches. See their demos. And have in-depth conversations to understand the inspiration behind their ideas, how they’re making a difference and where they’re going next. The showcase is also a great chance to meet and learn from the leaders of numerous UNC programs that support these ventures as part of Carolina’s universitywide innovation ecosystem. This course focuses on how entrepreneurial approaches can support and sustain public health efforts. You’ll learn the basic concepts behind an entrepreneurial way of thinking, explore different approaches to solving public health problems and find out how others have applied entrepreneurial principles to advance public health goals. Through a combination of introductory lectures, a review of literature, student projects and guest seminars by successful public health entrepreneurs, you’ll become familiar with the many faces of both commercial and social entrepreneurship in public health. This course examines issues and perspectives on sustainability, social enterprise and solutions to social and economic found in the emerging fourth sector of our economy. The class explores sustainable community development through a framework that combines local, national and global perspectives on sustainability’s triple bottom line: 1. economic prosperity; 2. social equity; and 3. environmental stewardship and the role of social enterprise in successfully addressing community challenges and opportunities. It is offered in the fall semester. 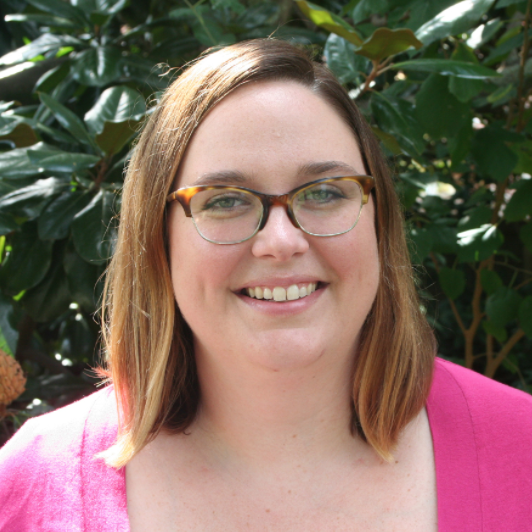 The Thorp Faculty Engaged Scholars program brings together selected faculty from across campus to engage in a two-year experiential, competency-based curriculum designed to advance their engaged scholarship. As a scholar in this program, you will participate in sessions in community settings to learn from other Carolina faculty and your community partners. While developing individual projects, your class of scholars will form a learning community along with the faculty and community course directors to support one another’s projects and community partners. 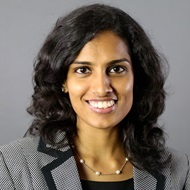 By becoming part of a growing network of Thorp Faculty Engaged Scholars, you can experience outcomes similar to those reported by other scholars in the program, including new interdisciplinary collaborations, successful grant applications, and both traditional and non-traditional products of your scholarship. As a scholar, you receive a stipend of $5,000 per year, for each of the two years ($10,000 in total). You also receive support from experienced faculty and community partners, while gaining access to a series of workshops, panels and case studies by leading Carolina faculty, funding program officers, and community and national experts. The CUBE social innovation workshop series helps current and aspiring social entrepreneurs with the issues and questions they inevitably may wrestle with. Whether you’re a current Carolina student or a member of the faculty or staff, these workshops will give you valuable answers on strategy, leadership, finance, legal issues, communications, program evaluation and technology. You’ll be able to apply the insights you learn at the workshops directly to your own ventures and future goals. All workshops are interactive, free and open to the public, so make plans to attend. 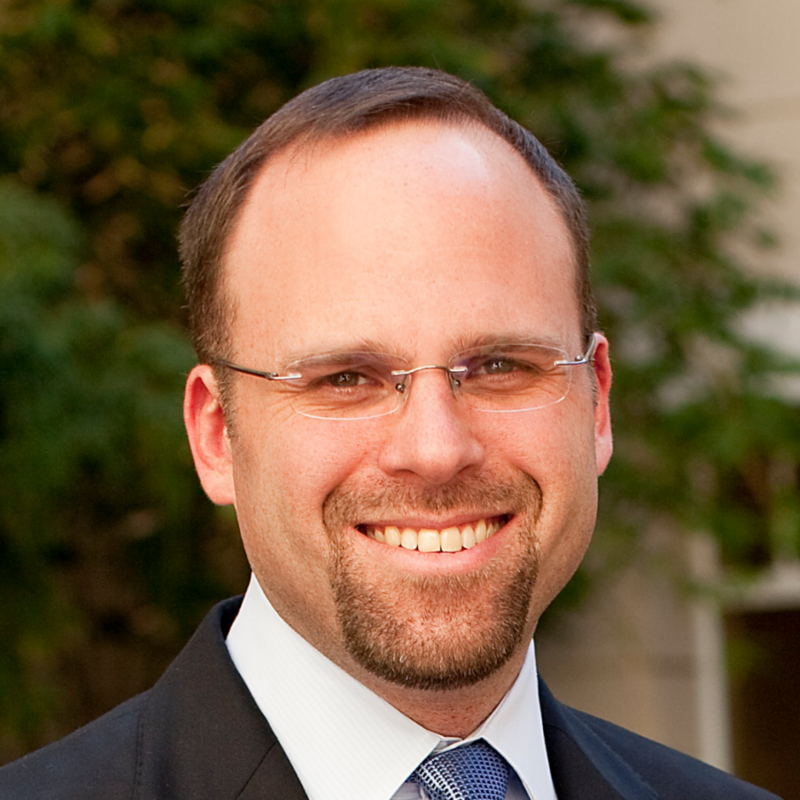 UNC-Chapel Hill is committed to developing transformative entrepreneurial leaders. To support that mission, the Adams Apprenticeship program matches high-achieving students with successful UNC alumni to shape, support and speed the transition to entrepreneurial careers with successful outcomes. As a fellowship recipient, you can gain lifelong access to one of the top entrepreneur networks in the world, enroll in the entrepreneurs lab course (including co-curricular sessions) and attend networking events to establish meaningful relationships. You’ll also build a personal board of advisors, develop a customized leadership development plan and attend entrepreneurship trips covered by the program. The Undergraduate Business Symposium is one of the oldest and largest student-run career development events in the nation. 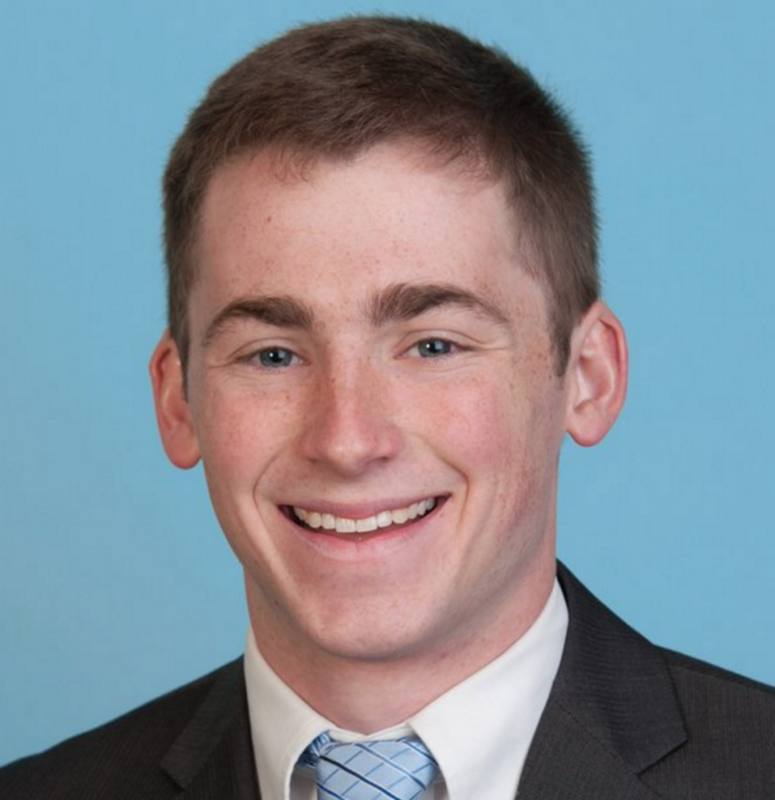 It serves as the premier opportunity for companies to establish or strengthen their recruiting brands and presence within the UNC Kenan-Flagler Business School community, while connecting with some of the nation’s top undergraduate candidates. If you are an undergraduate student in the business school, you can meet with companies to explore internship and full-time positions. The symposium also gives you the chance to network, participate in industry-specific programs that match students and companies with mutual interests, and explore diversity and inclusion programming. 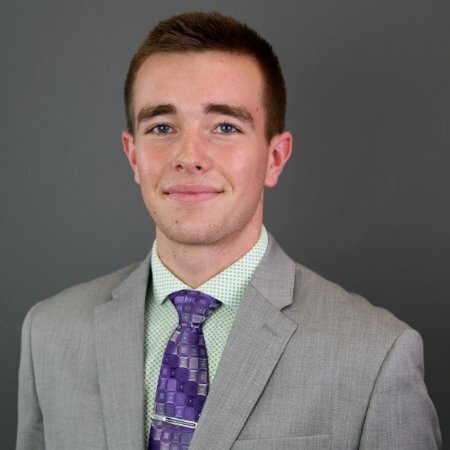 The Crash Campaign is an annual event for students to gain real-world experience, develop professional connections and help local businesses and non-profits with various PR, marketing and business problems. As a student participant, you have 24 hours to devise and present a solution to a panel of judges from the UNC School of Media and Journalism as well as from leading marketing firms. 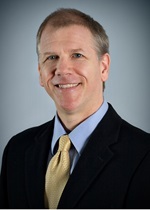 The UNC Kenan-Flagler Health Care Conference allows faculty, students and staff to explore how the downward pressure on costs is affecting health care in the United States. By attending, you’ll learn what various actors are doing to try to achieve efficient outcomes, while maintaining high-quality products and services. Join representatives from all industries to discuss the implications of cost containment through the lens of current topics, including population health, innovation in technology and shifting payment models. Every year in November, UNC-Chapel Hill participates in Global Entrepreneurship Week, the world’s largest celebration of innovators, by hosting a weeklong series of events on campus that reach across all disciplines. For multiple years, Global Entrepreneurship Week at UNC has been ranked among the top two university partners in the nation and draws the public from across The Triangle. Whether you are actively involved in entrepreneurship or new to it, you will find a variety of participation opportunities designed to engage everyone: students, faculty, staff, alums and community members. The Office of Commercialization and Economic Development offers various workshops, including the Carolina Innovation Seminar. This monthly series of events gives you the opportunity to hear from a lineup of distinguished guest speakers who are experts in a wide range of topics related to innovation, commercializing research and starting new ventures. Join colleagues in the Great Room at Top of the Hill Restaurant & Brewery from 5:30 to 6:30 p .m. 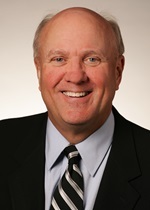 on the first Thursday of each month to hear the guest speaker presentation. Afterwards, you’re invited to networking reception in the same space, where you can connect with other attendees, unwind and share insights. The Carolina Create-a-thon is an innovation challenge that helps students develop ideas to improve some aspect of the Carolina experience. To take on the challenge, you’ll work as part of a diverse team to take an idea as far as possible in an eight-hour timespan. What kinds of ideas? You can explore possibilities and concepts that range from spaces, services, initiatives and classes to apps, platforms, products and programs. Workshop leaders, mentors and industry experts will help guide your team through the ideation process. The challenge is open to students of all majors, years and backgrounds, so bring your best ideas and create something new. 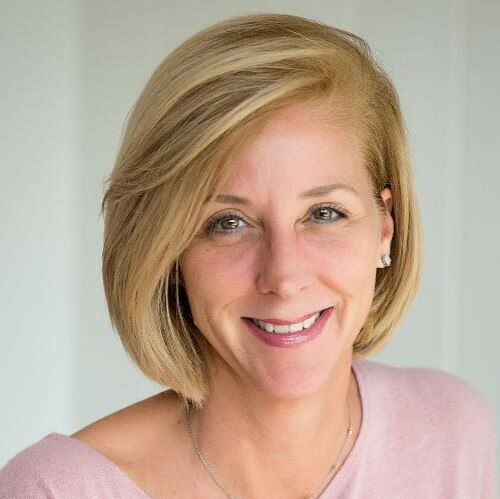 The Carolina Women in Business Conference, which occurs annually, provides workshops, distinguished keynote speakers and panel discussions to several hundred attendees. 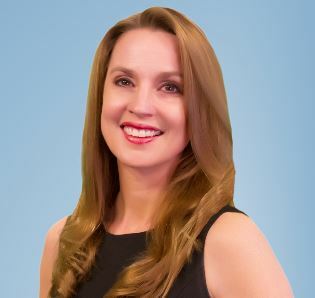 Participants include students of the UNC Kenan-Flagler Business School, Carolina faculty and staff, alumni, and members of the surrounding community. The conference gives you the opportunity to engage with experts on career development and explore a variety of topics like communication and philanthropy. 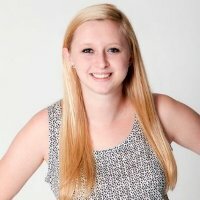 Pearl Hacks is an annual all-female hackathon organized by UNC-Chapel Hill students for women in high school and college. 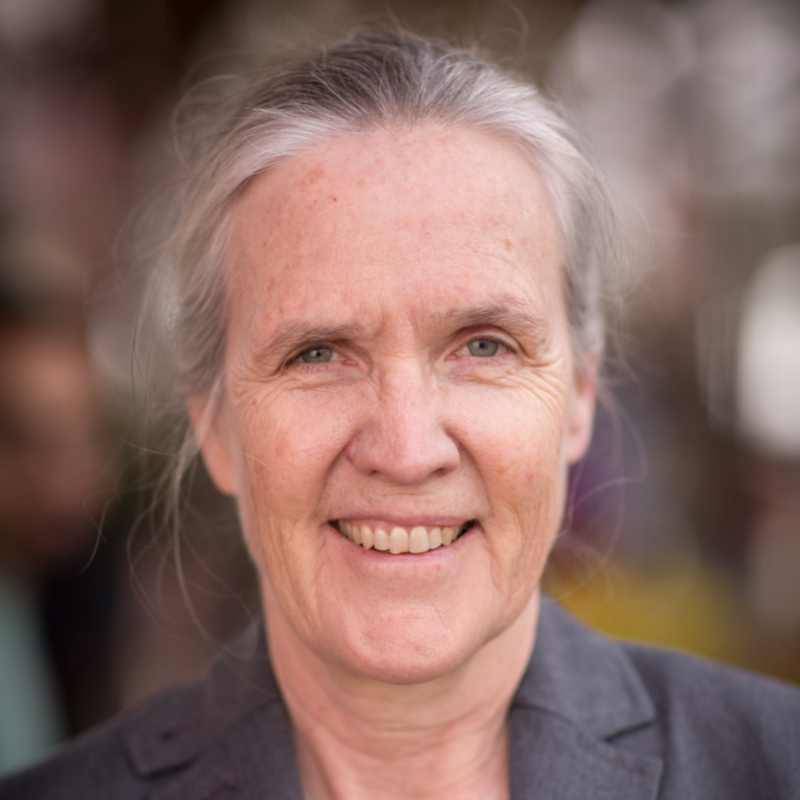 The event helps address the gender gap in the computer science field. During the 24-hour hackathon, you participate in workshops run by experienced programmers on numerous topics: building websites, basic software development, big data and computer hardware. 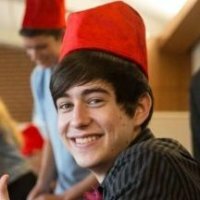 If you don’t have a lot of programming experience, don’t worry. You’ll find workshops geared toward coders of all skill levels. If you’re an undergraduate student interested in taking a leadership role with the event, Pearl Hacks welcomes you to get involved on its organizing committee. HackNC is a weekend conference for students of all skill levels to broaden their talents. Your challenge? Make an awesome project in just 24 hours. 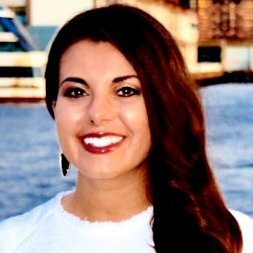 You will have access to hands-on workshops and demos from the event sponsors, and you can hear exciting talks about new trends in computer science and technology. If you’re an undergraduate student interested in taking a leadership role with the conference, HackNC welcomes you to get involved on its organizing committee. FoodCon is a one-day annual conference, which is focused on the business of sustainable food and co-organized by UNC-Chapel Hill, Duke and NC State. Join students, community members and business professionals to discuss current trends and issues in the sustainable food industry. Together, you’ll explore ways to develop and grow the industry in North Carolina and throughout the country. 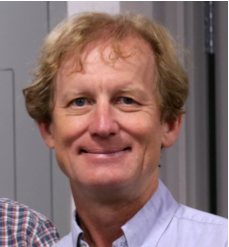 The Water Microbiology Conference creates a annual forum for researchers and practitioners focused on microbiology and public health issues to come together around the intersection of the two. By attending the conference, you’ll have variety of opportunities to exchange ideas, debate challenging topics and explore potential collaborations. The Water and Health Conference is organized annually by the Water Institute at UNC-Chapel Hill and has a strong public health emphasis. During the event, you’ll hear from and meet with experts on drinking water supply, sanitation, hygiene and water resources in both the developing and developed worlds. Let’s Innovate North Carolina (LiNC) is the Research Triangle area’s premiere student entrepreneurship conference. 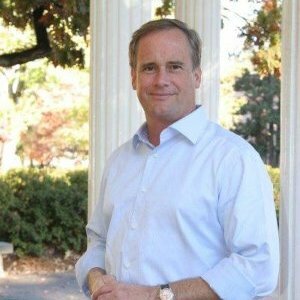 By participating, you’ll be part of the effort to connect the entrepreneurial communities at UNC-Chapel Hill, NC State, NC Central and Duke University. You and other attendees can help facilitate the growth and development of the Research Triangle as one of the nation’s leading entrepreneurship hubs. TEDxUNC is an annual conference held at UNC-Chapel Hill that brings together innovative thinkers from across the University and larger community. If you’re interested in exploring ideas for our collective future, this event is for you. The conference is completely planned and executed by a committee of about 35 Carolina students. If you are an undergraduate student and would like to consider pursuing a leadership role with the event, TEDxUNC invites you to get involved on its organizing committee. UNC Ideation is a group organized by Carolina Creates, the community for student creativity at UNC-Chapel Hill. The UNC Ideation community is focused on sparking creativity across campus through a create-a-thons, workshops, maker spaces, design dinners and other events. By attending a UNC Ideation event, you’ll have the chance to connect with and create alongside new people. You’ll also gain valuable skills that you can use to innovate in a variety of ways. The Global Entrepreneurship Summit (GES) is an annual event that features new commitments to promote entrepreneurship as a driver for economic growth, social inclusion and secure communities. GES has brought the best entrepreneurs and investors from 170 countries to the birthplace of modern innovation, highlighting that the dynamic enterprises driving new solutions can be found in every corner of the world. The summit convenes approximately 1,200 outstanding entrepreneurs and investors from across the world for dynamic, outcome-oriented sessions; mentoring; and opportunities to showcase their work. 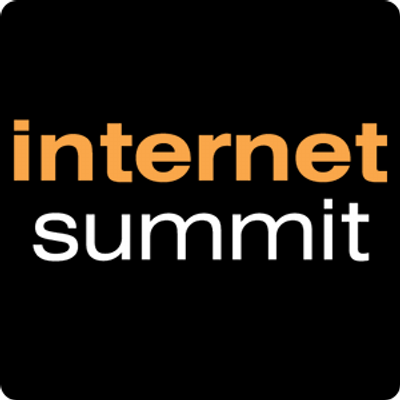 The Internet Summit is a premier digital strategies forum where you can be part of the future transformation of the digital commerce ecosystem – including marketing, UX & design, search, content and mobile. The summit gives you and other digital professionals an opportunity to learn directly from the world’s digital industry experts, network with your peers, and discover how to turn your ideas into transformational solutions. 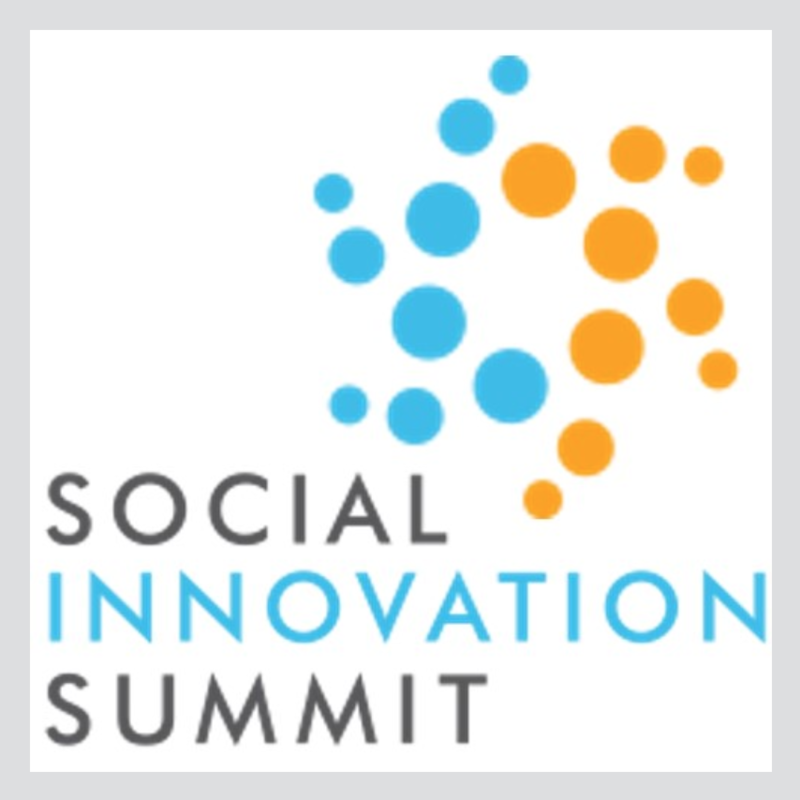 The Social Innovation Summit brings together the top leaders from around the world for an intense series of discussions, debates and networking. While most events connect you with luminaries to explore the next big idea, this summit brings you together with others who are hungry not just to talk about the next big thing, but to build it. 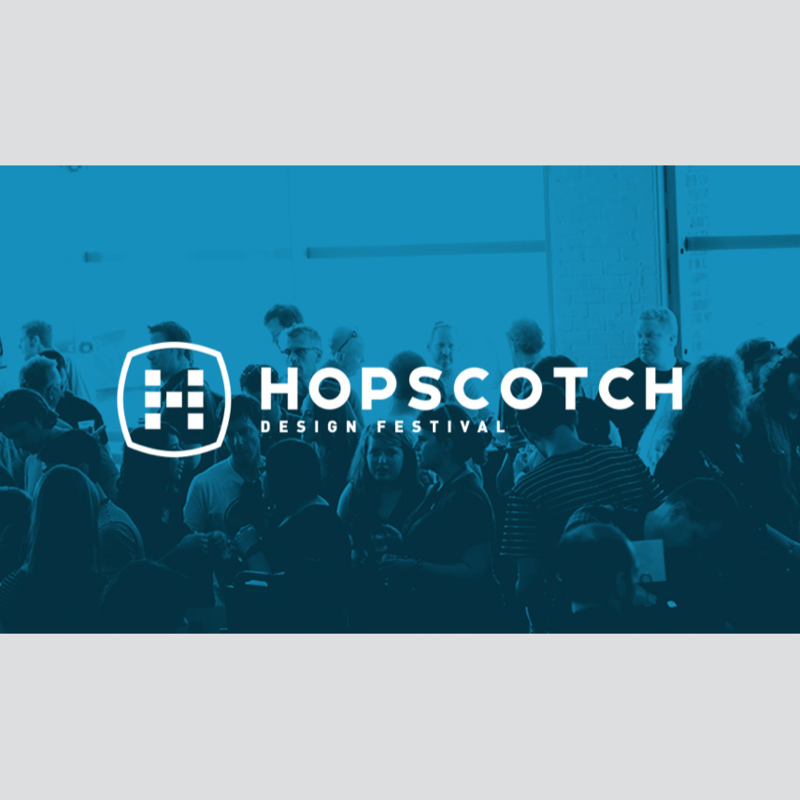 The Hopscotch Design Festival, which takes place in the Research Triangle area each year, is a gathering of designers, thinkers, makers, and storytellers who are shaping what’s next right now. 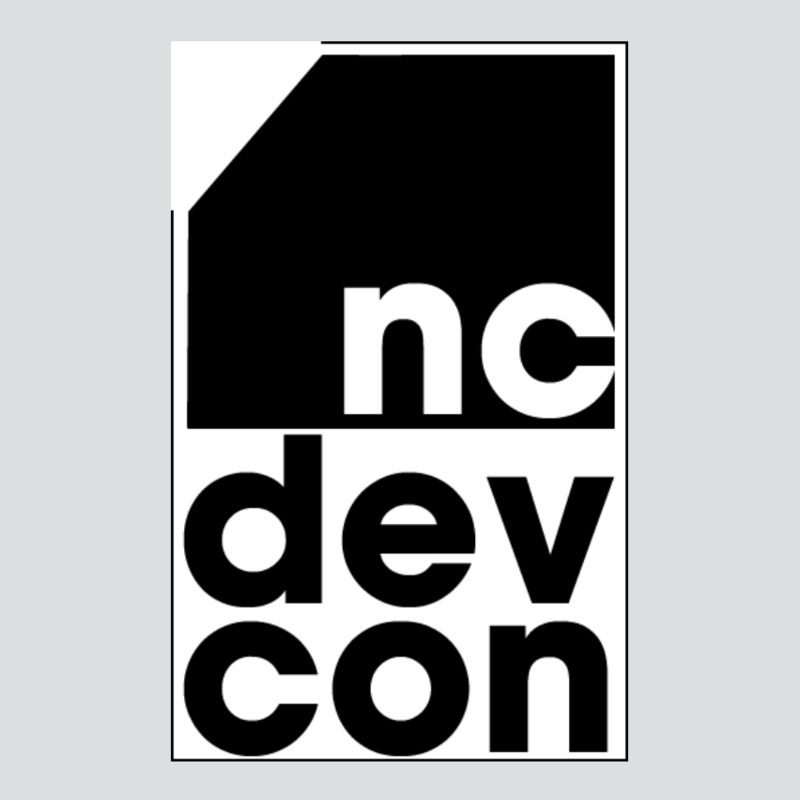 Join the brightest creative minds in the North Carolina region and from across the country. You’ll gain inspiration and have a chance to collaborate with other designers who are prepared to lead in the complexity of today’s world. 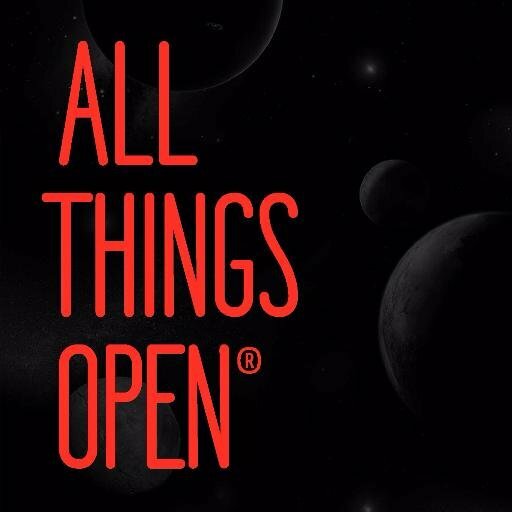 All Things Open Conference is an annual conference that explores open source, open tech and the open web in the enterprise. By attending, you’ll join more than 2,000 technologists and decision makers from all over the world. This event gives you the opportunity to participate in multiple tracks, choose from more than 180 sessions, hear numerous keynote speakers and engage in infinite networking opportunities. NC DataPalooza is on a mission to provide a robust set of usable, open data that can be manipulated by local entrepreneurs; increase regional collaboration around open data; stimulate significant economic and community development; and position North Carolina as a hotbed of open-data and entrepreneurial activity. 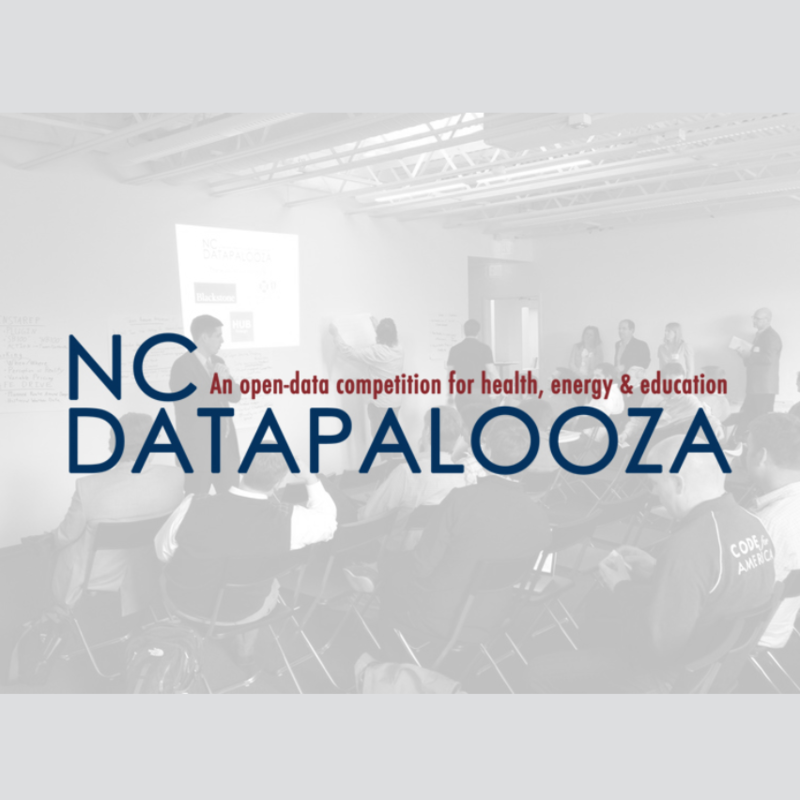 During this annual open-data startup competition, you’ll have a chance to be part of North Carolina’s innovation community, accelerate your ideas and help make an economic impact in the state. 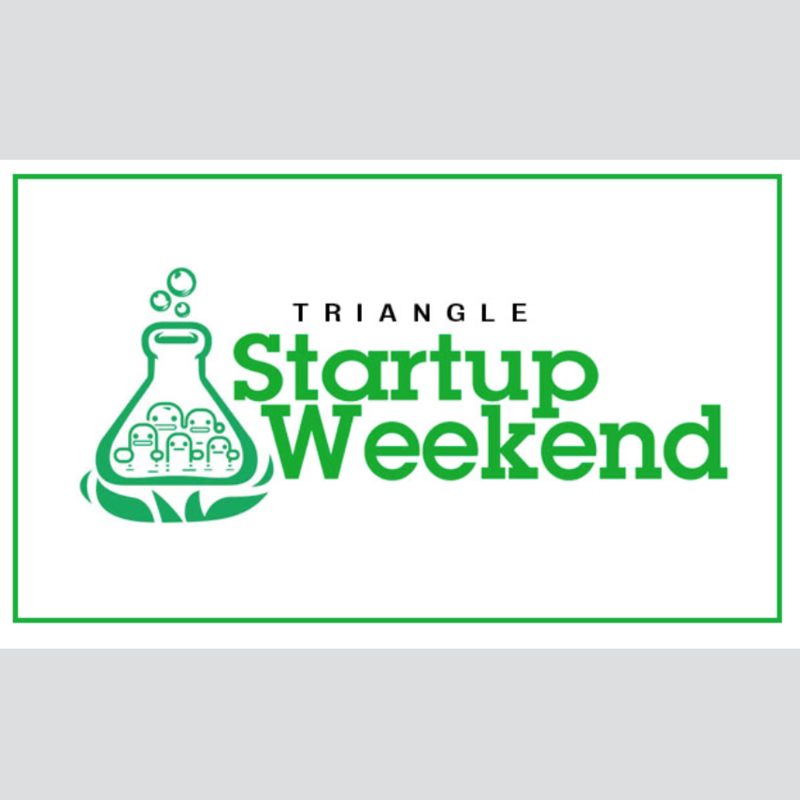 Startup Weekend is a 54-hour event that brings together designers, developers, entrepreneurs and experts from all domains in the Research Triangle Park area to do amazing things. You’ll find that all Startup Weekend events follow the same basic model: anyone is welcome to pitch their startup idea and receive feedback from their peers. As a participant, you will be part of a team that forms around one of the top ideas (as determined by popular vote) and embark on a three-day frenzy of business model creation, coding, designing, and market validation. If you want to put yourself in the shoes of an entrepreneur and contribute to a more sustainable world, be part of Startup Weekend Triangle. 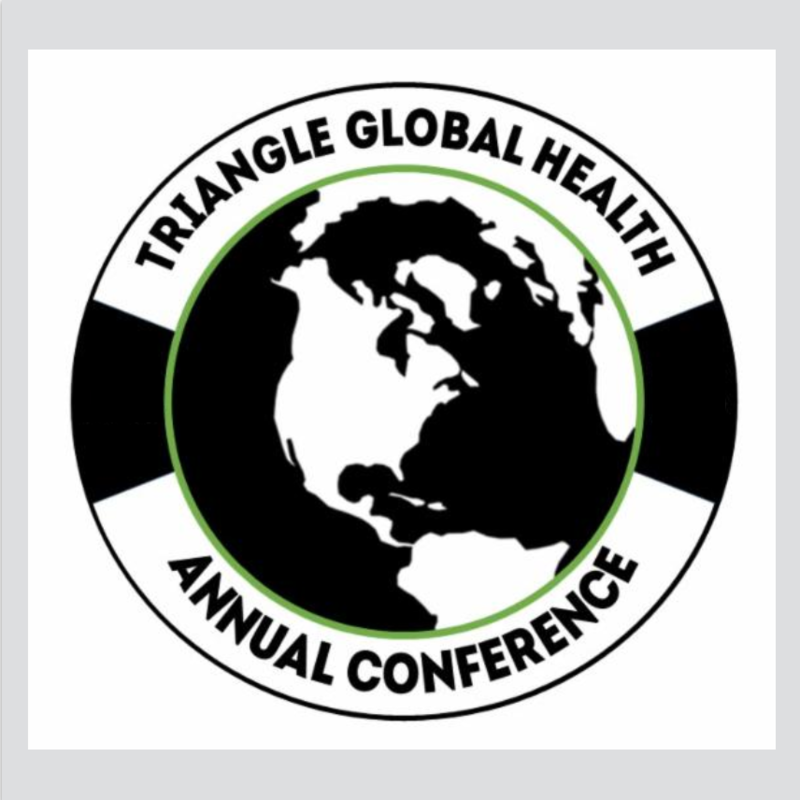 The Triangle Global Health Consortium hosts an annual Triangle Global Health Conference, which welcomes more than 200 attendees from academic, governmental, business and nonprofit organizations, all coming together to discuss and collaborate on how to improve the health of the world’s communities. By attending, you can collaborate with other experts to explore the interconnected forces that determine our health across boundaries, cultures and governments. You’ll also see how practices and innovations applied locally can have global implications and vice versa. The 99U Conference is a one-of-a-kind live experience that inspires creative professionals to bring their ideas to life and shape the future of the industry. Learn from the world’s top thinkers and doers in a series of main stage talks over two days. 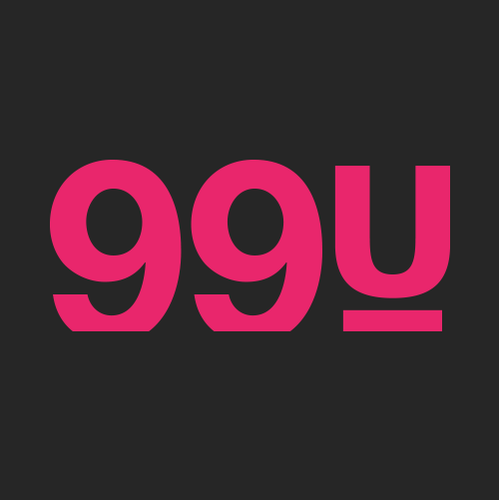 99U speakers offer you pragmatic, real-world insights that transcend creative sectors. Expert-hosted workshops give you a chance to pick up career skills and dive into new disciplines. You’ll also find many opportunities to network with fellow attendees and get exposed to new ideas. 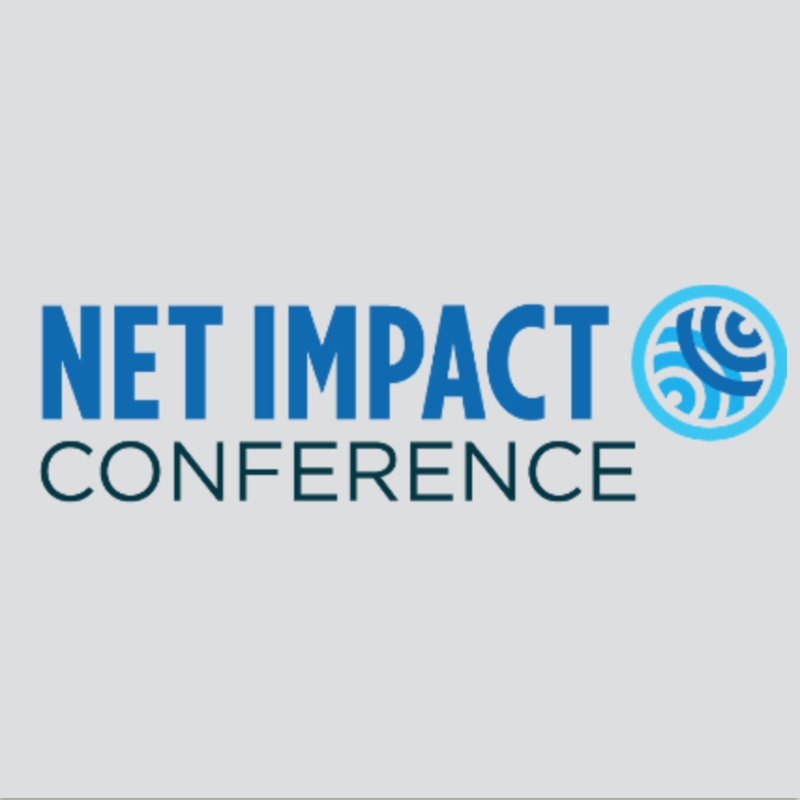 The Net Impact Conference is the leading forum for students and professionals who want to tackle the world’s toughest social and environmental problems. At the conference, you can discuss trends at the forefront of numerous industries, network with recruiters and learn valuable career-building skills. You will have a chance to interact the founders of impactful companies, professionals using business as a force for good, and students and graduates preparing for careers with purpose. 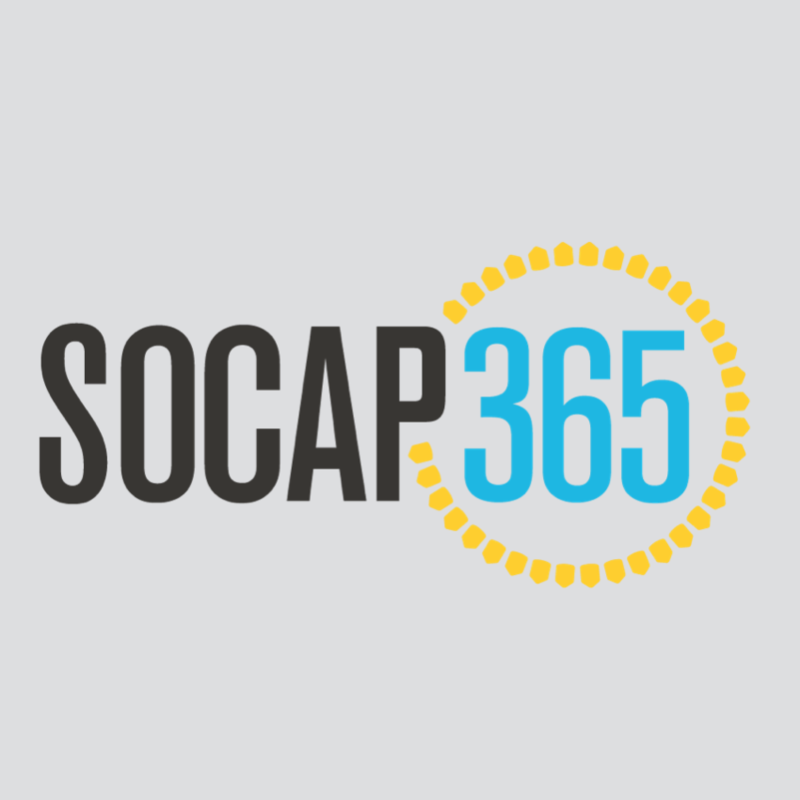 An ongoing event series, SOCAP 365 features world-class speakers and opportunities connecting at the intersection of money and meaning. Through thought leader panel discussions, inclusive dialogues, and community-building events, SOCAP 365 serves the rapidly growing network of impact investors, social entrepreneurs, conscious corporations, philanthropists, government agencies and innovators in every sector. 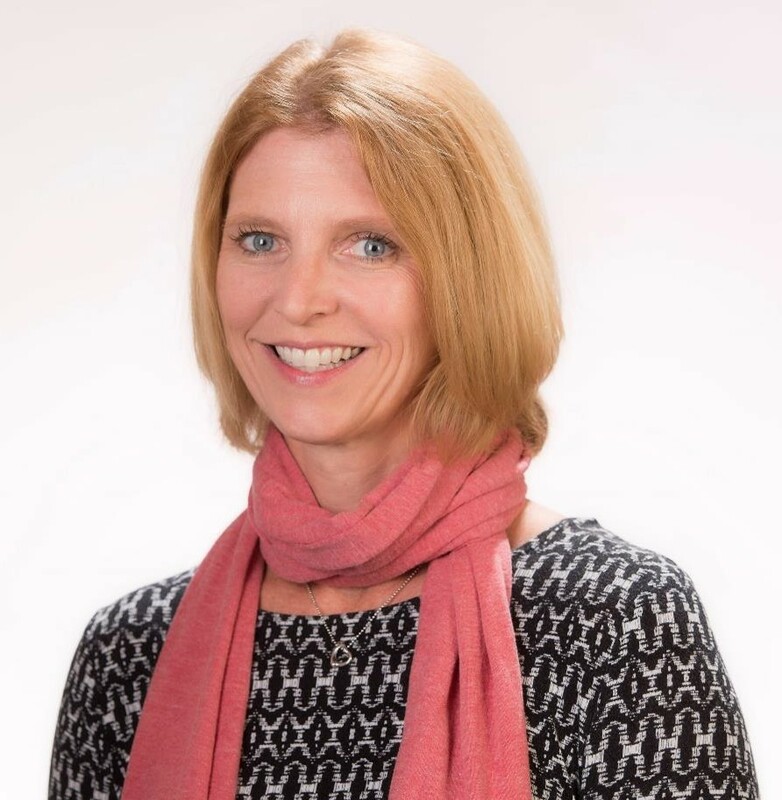 Whether you’re a long-time SOCAP attendee or relatively new and curious about the field, SOCAP 365 is a chance to connect locally with like-minded peers committed to accelerating the flow of capital toward global good. 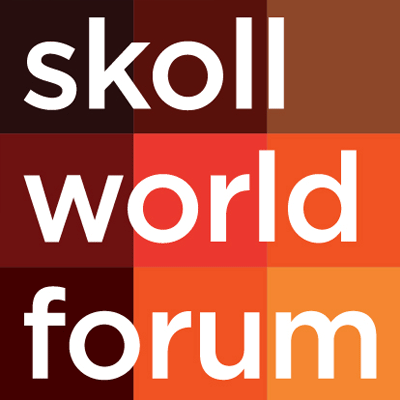 The Skoll World Forum on Social Entrepreneurship seeks to accelerate entrepreneurial approaches and solutions to the world’s most pressing problems by uniting social entrepreneurs with essential partners. At the event, you can participate with others in a collaborative pursuit of large-scale social change. If your application to be a delegate is accepted, you will have the chance to attend the forum with other delegates representing nearly 65 countries and participate in a range of interactive events. This forum creates an environment where you and others can openly share, collaborate, innovate and advance social entrepreneurship. 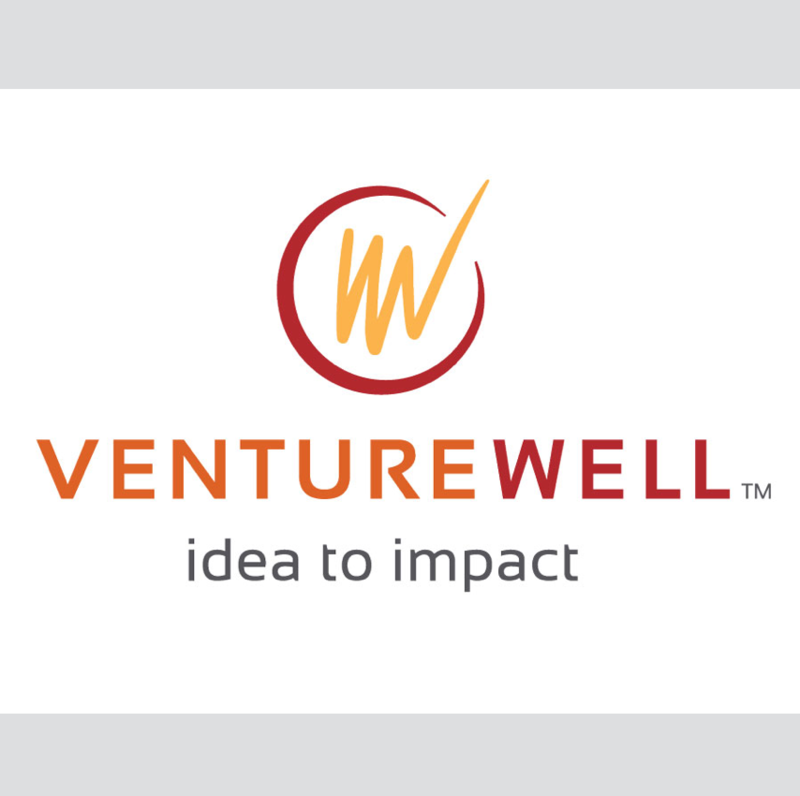 VentureWell’s Open Conference gathers together representatives from across the innovation and entrepreneurship spectrum to share stories, start new collaborations and learn best practices in the rapidly growing field of technology entrepreneurship education. 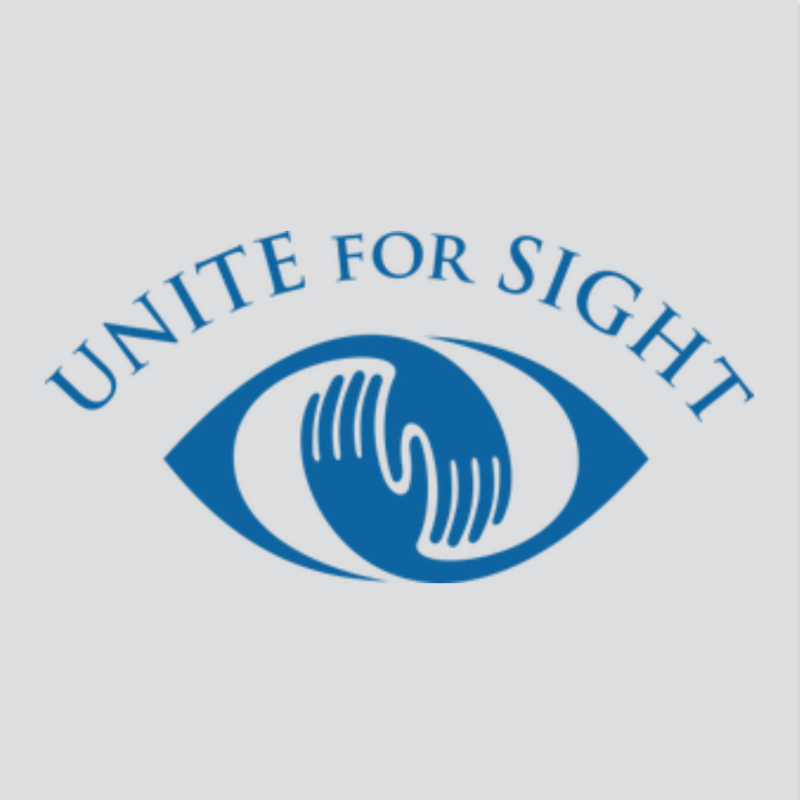 At this conference, you’ll find a wealth of informative sessions and ample time to network with a friendly and engaging group of attendees interested in moving the field forward. 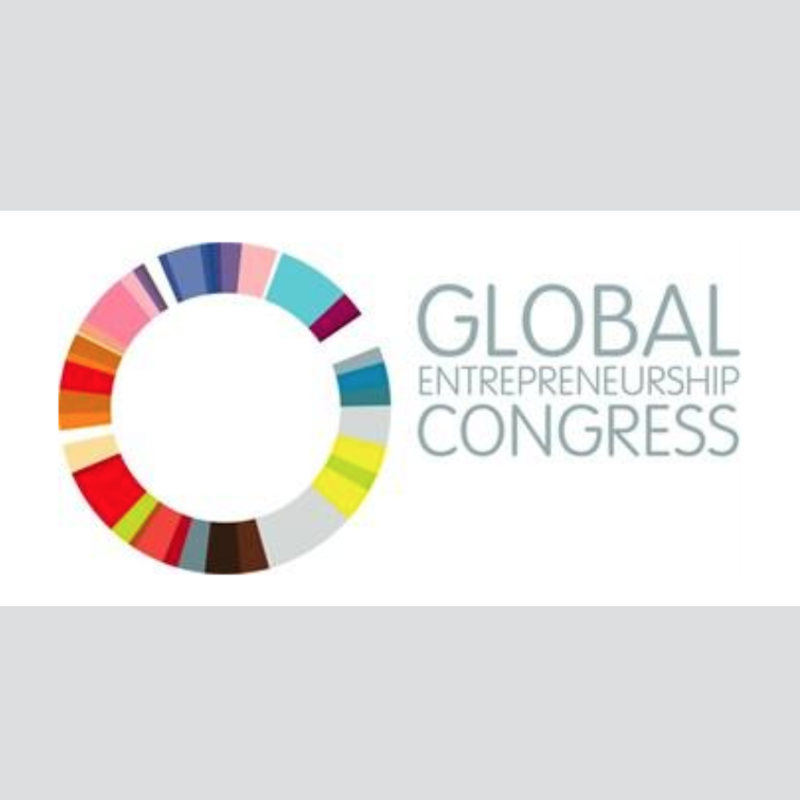 Every year, the Global Entrepreneurship Congress gathers together thousands of entrepreneurs, investors, researchers, policymakers and other startup champions from more than 160 countries to identify new ways of helping founders start and scale new ventures around the world. At the weeklong GEC, you can collaborate with other delegates, make connections, gain insights, learn about new research, and leave ready to renew your programs, policy ideas or founder skills. 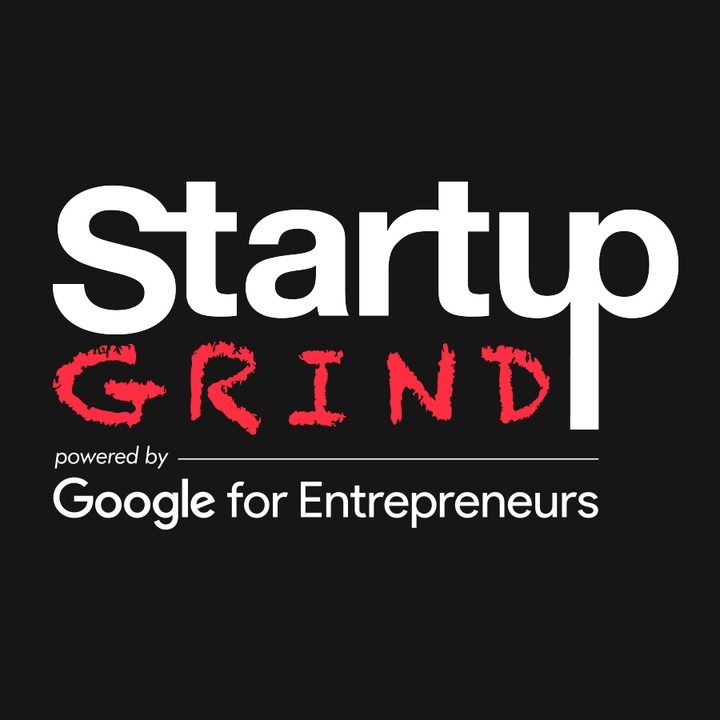 Startup Grind is a global startup community designed to educate, inspire and connect entrepreneurs. Each year, Startup Grind hosts an annual global conference where you can join 3,000 founders and investors, attend more than 40 keynote and fireside sessions and learn from more than 50 exhibiting startups. 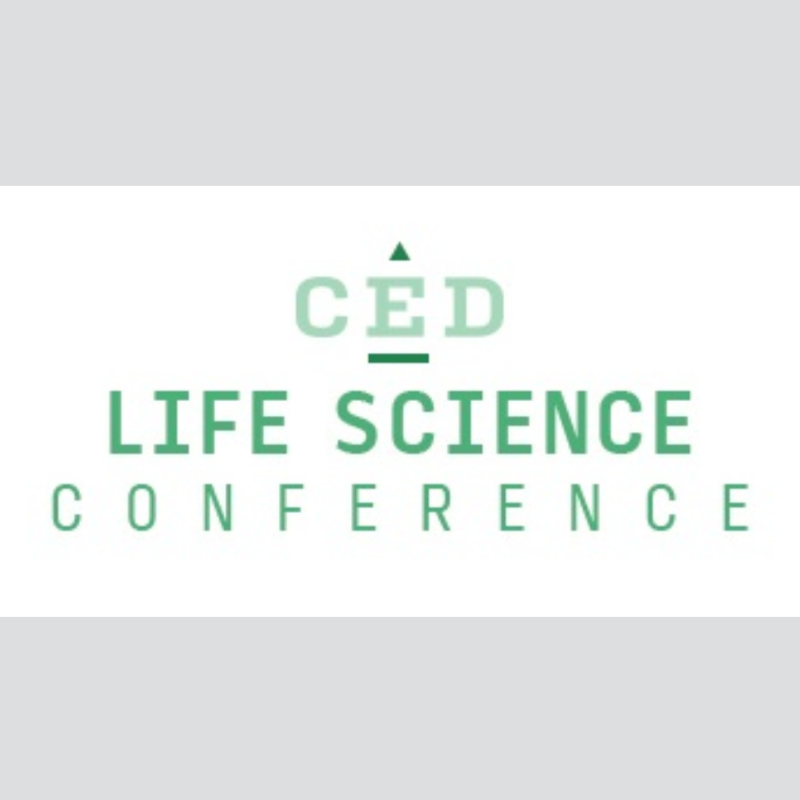 As one of the leading life science gatherings in the nation, the CED Life Science Conference attracts nearly 1,000 participants each year, boasts globally recognized industry leaders as speakers, showcases the most exciting and innovative North Carolina-based life science companies, and connects these companies to a diverse group of venture capital and corporate investors. As an attendee, you’ll meet innovative thinkers and companies from across the life science landscape: biotech, pharmaceuticals, medical devices, digital health, diagnostics, drug delivery and AgBio. The Global Health & Innovation Conference is the world’s leading and largest global health conference. It’s also the largest social entrepreneurship conference, with 2,200 professionals and students from all 50 states and more than 55 countries. If you’re interested in health issues and social change, this is a must-attend conference. Join other leaders, changemakers and participants from all sectors of global health, international development and social entrepreneurship to share your insights and learn the latest. 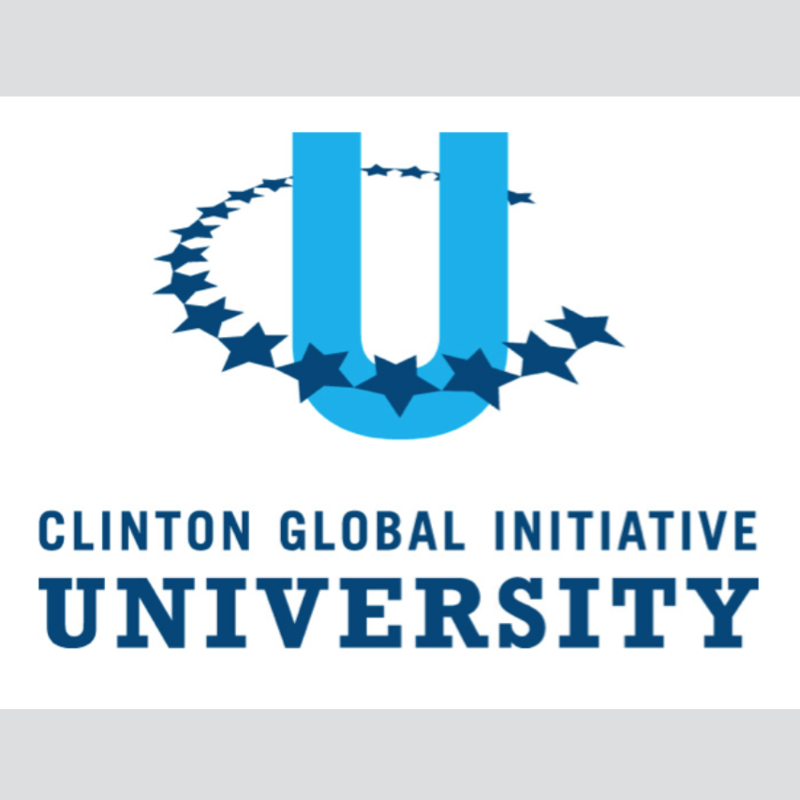 Building on the successful model of the Clinton Global Initiative, President Clinton launched the Clinton Global Initiative University (CGI U) in 2007 to engage the next generation of leaders on college campuses around the world. Each year, CGI U hosts a meeting where students, university representatives, topic experts, and celebrities come together to discuss and develop innovative solutions to pressing global challenges. If you are a student who is interested in attending, you can apply as either an an individual or as part of a group. As a student attendee of the meeting, you’ll create your own Commitment to Action that addresses an issue on campus, in a local community or around the world. 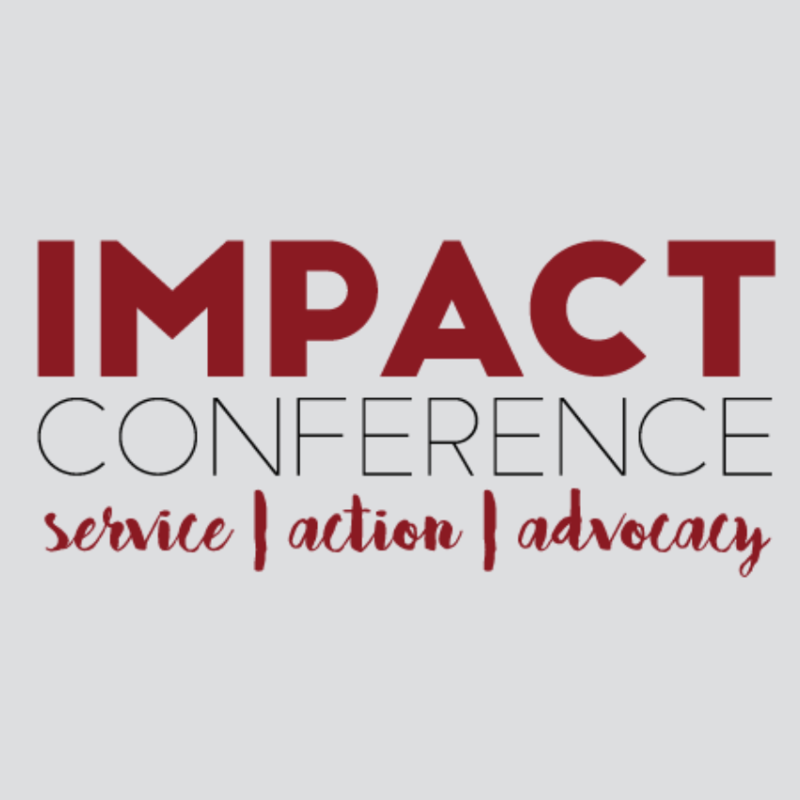 The IMPACT Conference strives to connect, educate and mobilize college students, nonprofit professionals and educators to strengthen their communities through service, action and advocacy. By attending, you’ll be part of the largest annual conference focused on the civic engagement of college students in community service, service-learning, community-based research, advocacy and other forms of social action. 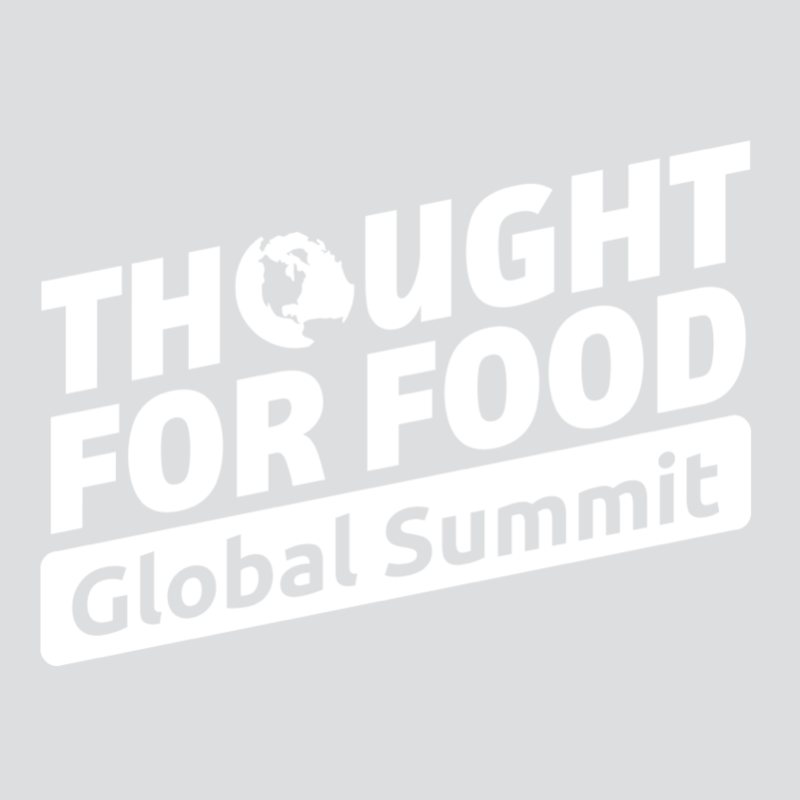 The Thought for Food Global Summit showcases how some of the world’s most common assumptions in food and agriculture are being turned on their heads. By attending the summit, you’ll meet and learn from revolutionary change makers and inspiring thought leaders, hear breakthrough pitches from the Thought for Food Global Challenge finalists, and experience the creative power and impact of the next generation through edgy workshops. 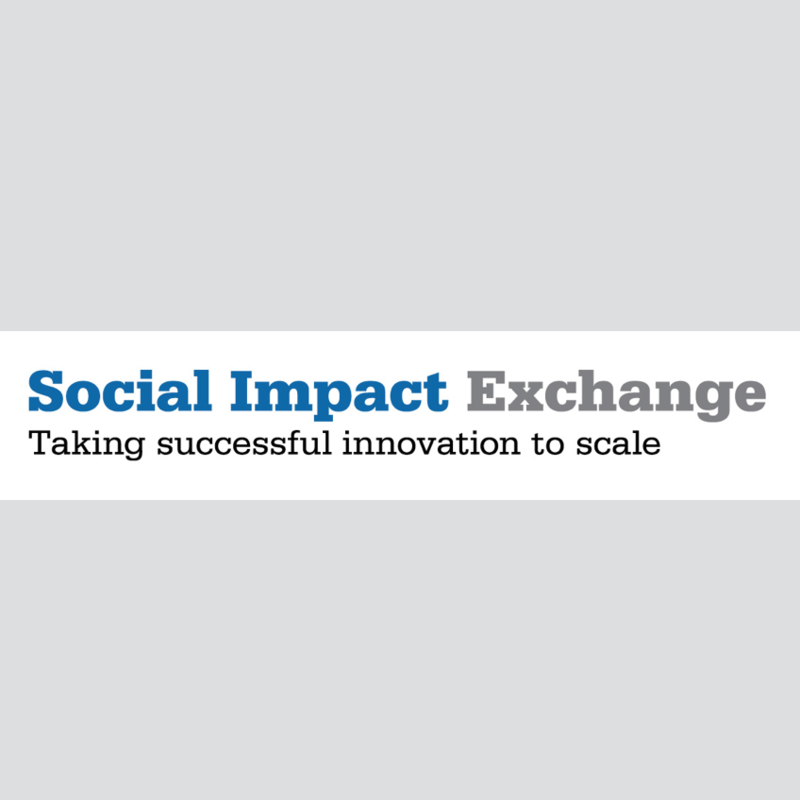 The Social Impact Exchange’s purpose is to share and develop knowledge that leads to successful execution of local, national and international scaling efforts, facilitate increased financing of scaling initiatives through collaborative funding opportunities and venues, and develop infrastructure that helps build the field of scaling social impact. At the organization’s annual conference, you join with funders, advisors and leaders from across the social sector who gather to share knowledge, learn about innovative co-funding opportunities and develop a community to help scale top initiatives and build the field. 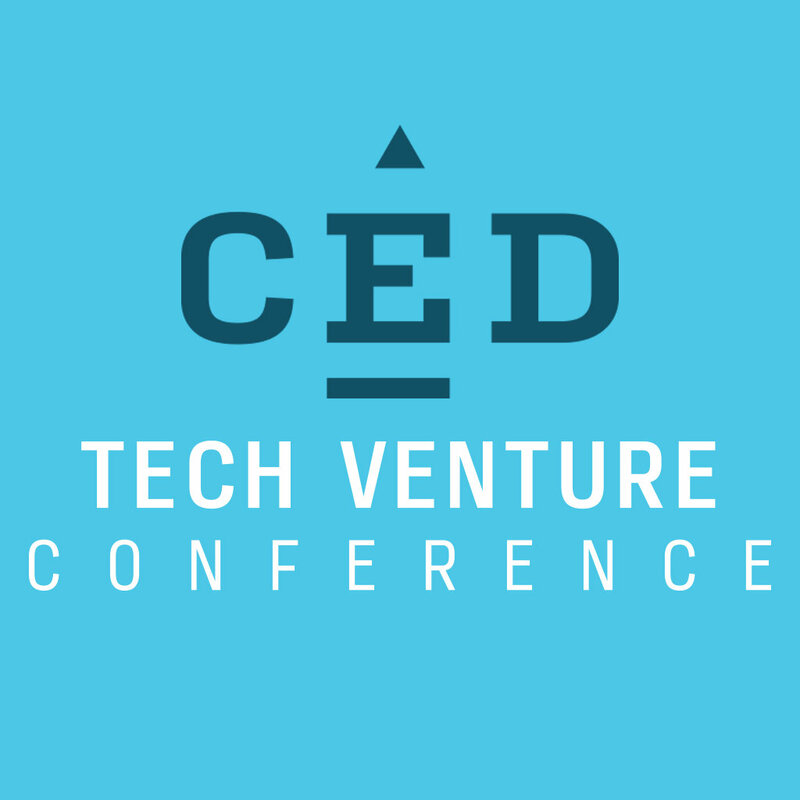 As the premier event for technology entrepreneurs in the Southeast, the Council for Entrepreneurial Development Tech Venture Conference attracts some of the most innovative minds from across the nation. 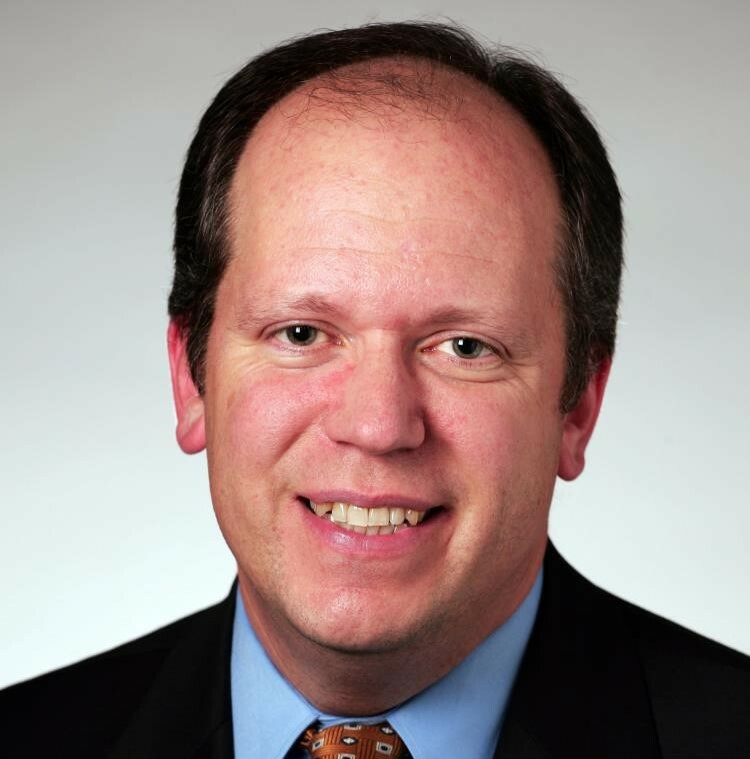 Join these leaders in Raleigh, NC, recently ranked the No. 5 tech hotspot, and collaborate with more than 800 entrepreneurs, investors, corporate visionaries and community leaders as well as more than 75 investment funds. During the conference, you’ll experience live on-stage company pitches, a demo room for networking with more than 90 emerging North Carolina companies, top industry speakers, and special entrepreneur-only opening workshops. 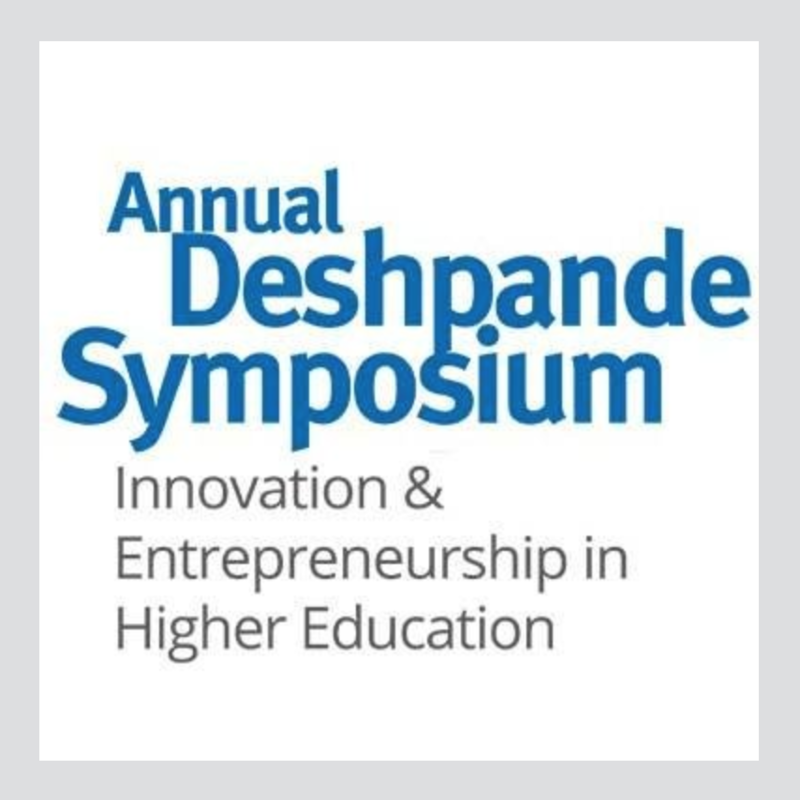 Co-founded by the Deshpande Foundation and the University of Massachusetts Lowell in 2012, the Deshpande Symposium on Innovation and Entrepreneurship in Higher Education brings together academics, policy planners and practitioners to discuss best practices in integrating entrepreneurship throughout their college and university communities. 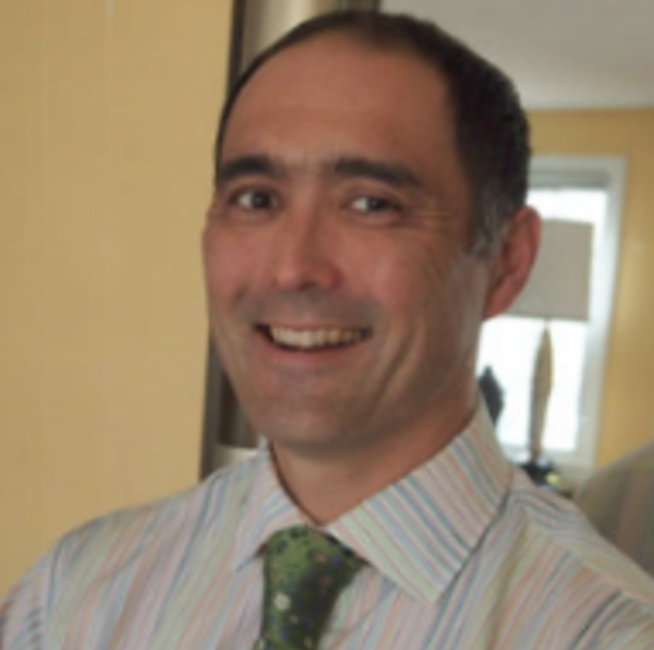 This annual conference, held in Lowell, Massachusetts, brings you together with national speakers and those at the forefront of innovative strategies in higher education. 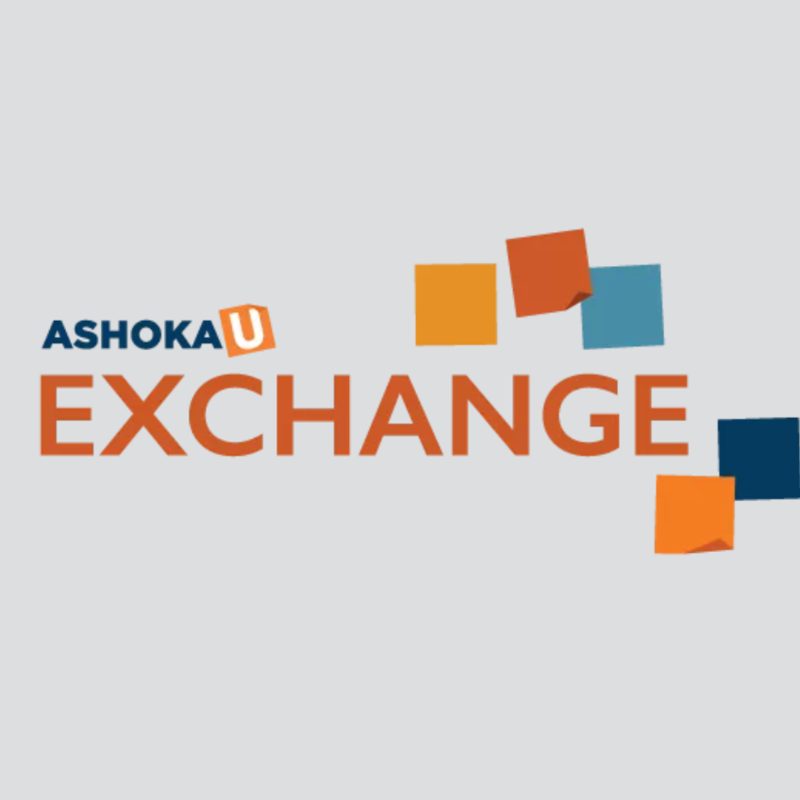 The Ashoka U Exchange is one of the world’s largest annual gatherings that showcases exciting new models of social innovation in higher education. Over the course of three days, the exchange offers you more than 100 sessions, including site visits, workshops, panels, keynotes and curated lunch conversations that all aim to help you work as part of a community of changemakers in higher education. Hosted annually in historic Saxapahaw, North Carolina, SwitchPoint is a conference about creativity, partnership and action. It’s where humanitarian innovation, global health and technology collide. 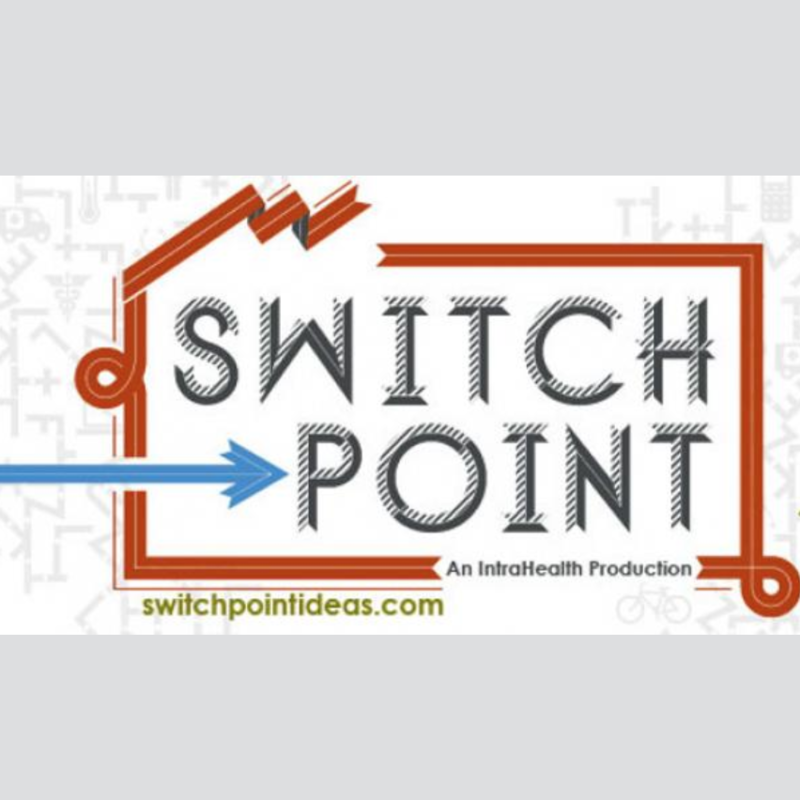 SwitchPoint is produced each year by IntraHealth International, a global health organization that understands the power of creative people and partnerships and the fast-growing interconnectivity of global development. This event focuses on unusual collaborations, spreading great ideas from around the world and incubating yours. You’ll hear from leading experts in a variety of fields as previous speakers have presented on numerous topics: building medical devices out of broken toys, using drones and 3D printers to save lives, creating innovation hubs, crowdsourcing crisis response, driving policy, shaping investment, and mapping everything.